The very first LEDs were invented in the early 1960s and LED lighting has come a long way since the 1990s when it entered the commercial market as a viable alternative to incandescent and fluorescent light. Those early LEDs had problems with flickering and prompted stereotypes of bright blue light that still exist today. Today’s LEDs have solved those early problems and pioneered new frontiers in architecture and design—from smart cities to human-centric lighting. Now, in virtually every possible scenario, LEDs can deliver better results for less cost than any other lighting technology. Light-emitting diodes (LEDs) are very different from other light sources. Whereas traditional sources create light by heating a filament (incandescent, halogen) or exciting a gas with electrical current (fluorescent, CFL, HID, metal halide, etc. ), LEDs create light by passing electrons through a semiconductor. Also called solid-state lighting (SSL), LEDs are very simply: An LED consists of a diode chip, mounted on a printed circuit board, encased in resin or other similar material. Also called a driver, the board governs the electrical flow to the LED and controls the function of the light (e.g. on/off, dimming, color changing). The LED is coated in a phosphor material, which determines the color range of the light. With drivers, LEDs can change their color temperature and color output. Phosphors allow for unprecedented color quality levels. Solid-state construction contributes to LEDs’ unmatched durability and contributes to their longevity. Poor quality LEDs have tarnished the reputation of LEDs as bright light sources that make colors appear flat and less appealing. The reality is a bit more complicated, however. Spec-grade LEDs should deliver outstanding color quality. Or put another way, lighting should make people feel comfortable and products look great. Color quality is typically expressed in measurements called CRI or TM-30. The Color Rendering Index (CRI) is a 0-100 point scale that measures how accurate colors appear under a light source, as compared to the sun. One hundred is a perfect score. LEDs with a score more than 90 are considered “high CRI” and deliver high-quality light. TM-30 is a newer color scale that measures color rendering and saturation across 99 colors, rather than CRI’s eight colors. CRI is still the lighting industry standard, although TM-30 is starting to edge it out. Both are valid measures. 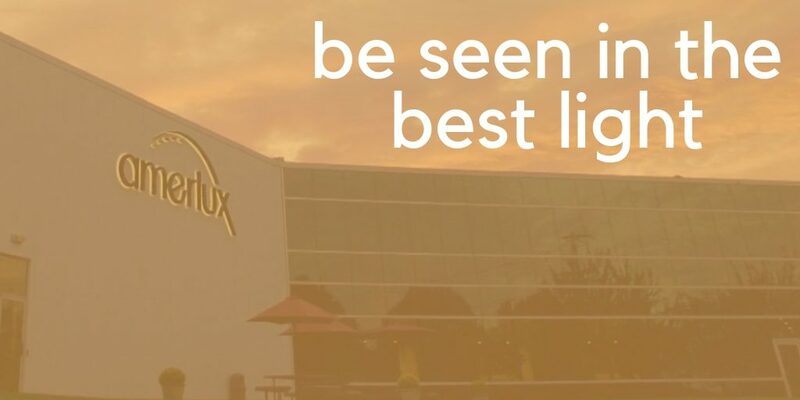 With quality lighting, you are essentially bringing the sun into your building. Under good lighting, rich colors shine. Textures come to life. Patterns are eye-catching. Thanks to their solid-state construction, LEDs offer unprecedented levels of lighting control. While older lighting types could be controlled, controls were limited by the physics of the light source (for example, fluorescent lights don’t dim well). LEDs don’t have those restrictions and the only limits on how they can be controlled are your imagination and budget. Dimming: Dimming is a standard feature on nearly all quality LED fixtures. Dim-to-warm: Elevating LEDs’ standard dimming abilities is dim-to-warm functionality, which makes them glow warmer when dimmed—emulating incandescent bulbs. Timers: To dim or turn lights on/off. Connectivity: Today’s controls can do everything from govern lighting operations, collect usage and lifecycle data and alert facility managers of problems. 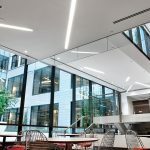 Connected lighting offers enormous possible savings, as lighting systems can be fully optimized for maximum user productivity and energy efficiency. Wireless: Anything a wired system can do, a wireless system can do too. Wireless systems are especially useful in exterior applications, such as controlling street lighting. Power-over-ethernet (POE): As the next step in wired controls, POE lighting makes smart buildings easy, delivering power and gathering granular analytics through ethernet cabling. Automated sensors: Human-centric lighting is light that changes throughout the day to mimic the sun and complement daylight levels. This is made possible by automatic sensors, such as occupancy sensors and photocells. Color-tuning: Quality LEDs are color-adjustable, so their light is cooler (bluer) in the morning and warmer (redder) in the evening, to match the sun. Architectural lighting merges form and function, as the lighting illuminates the space, while also enhancing the building’s aesthetic features. When they are visible, fixtures must be visually appealing—sometimes drawing attention to themselves and sometimes disappearing into the background. Today’s LED solutions can deliver on both fronts because they are not bound by conventional lighting constraints, like bulb sizes. designers enormous creative freedom. For example, with LEDs, you can marry recessed and pendent lighting, for continuous lines of light that scale walls and cross ceilings. You can completely integrate the lighting into the architecture, like illuminating stairs with LED fixtures as handrails, or hiding fixtures in a soffit for beautiful accents. LEDs also come in a variety of shapes. Need a curving, squiggly line of recessed light? You can’t do that with fluorescent tubes, but you sure can with LEDs. A conversation about the benefits of LEDs would be incomplete without mention of their incredible energy efficiency. LEDs are the most energy efficient light source on the market today. Organizations that upgrade to LEDs typically realize enormous cost savings. For example, when Los Angeles upgraded their streetlights, they slashed energy usage by 75 percent over their old high pressure sodium lamps. The Queens Museum in New York City cut energy costs by a staggering 90 percent by replacing their halogen lights with an LED track light system. Energy-sipping LED lighting is a strikingly effective way to cut costs. 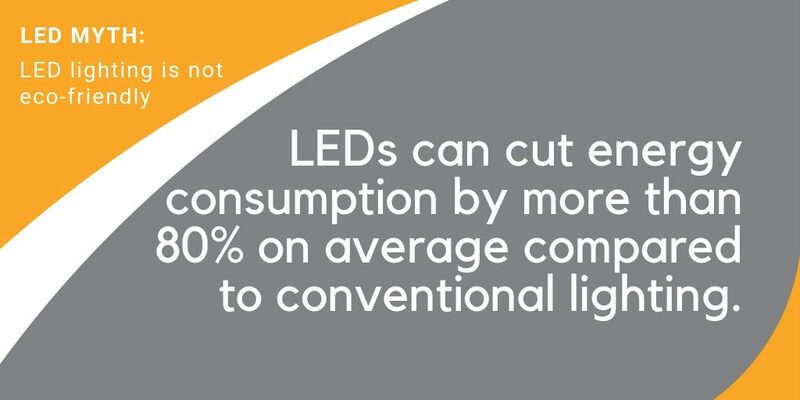 Why are LEDs so efficient? It comes down to how the source produces the light: It’s better to think of conventional light sources as heaters that happen to give off light. Incandescent bulbs emit 90 percent of their energy as heat and CFLs emit about 80 percent as heat. LEDs use about 20 percent of the total energy that legacy light sources use and waste almost none of it as heat. LEDs last for a long time. In fact, they last a very, very long time—50,000 to 70,000+ hours for most models—which is orders of magnitude longer than conventional lighting. Not only can LEDs provide a decade or more of optimal service, their light quality doesn’t begin to depreciate until after 50,000 or more hours of use. A high-pressure sodium or halogen lamp may provide light for several thousand hours, but the quality degrades quickly before finally burning out. The light from HPS lamps begins to deteriorate after just 100 hours and halogens after 2,000 hours. To put LEDs’ longevity in perspective, if you installed LEDs on a college campus today, the children of today’s students could enroll at the university before the LEDs need replacing. Top-tier quality LEDs not only deliver light for 50,000+ hours, but they can deliver the same quality of light on day 1,000 as they do on day 1. The secret with LEDs—like cars—is all in how they are driven. A driver is the part of the LED that determines how much electrical voltage gets from the power source to the LED itself. 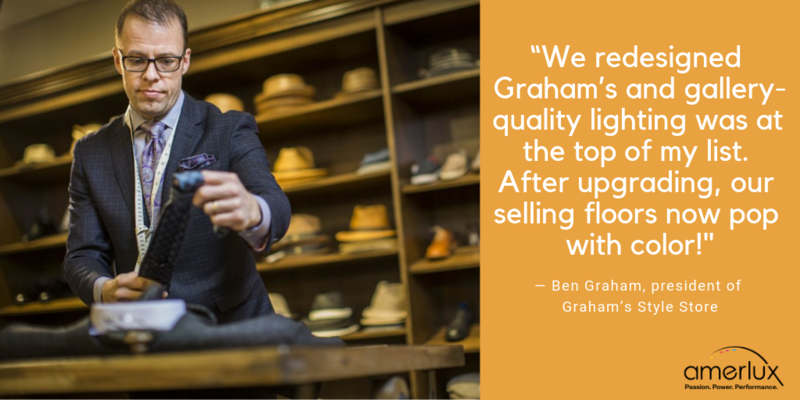 Good manufacturers will use the best possible LEDs and then drive them to a fraction of their potential. This keeps the LED working well for years—just like how a gentle driver can keep their car on the road for years without problems. Part of the credit for LEDs’ long lifespan is due their solid-state construction. LEDs consist of a resin-encased chip. There are none of the delicate glass bulbs, fragile filaments or pressurized gases that make conventional light sources prone to breakage. Thus, LEDs are highly resistant to damage from vibrations, shock and impact. 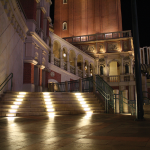 LEDs make an excellent choice for exterior lighting as they can also withstand vandalism and traffic impacts. And cold weather doesn’t affect LEDs, unlike older lighting technologies. In fact, cold temperatures can extend the operating life of an LED, since heat is the only real enemy of LEDs. LEDs offer the greatest possibilities the lighting industry has ever seen to impact space design, enhance merchandise and create better environments for people to live, work, play and heal. With solid state lighting technology, we can have it all—perfect color quality, ultra-long operating life and extreme energy efficiency. Find your perfect LED lighting with a free consultation today.